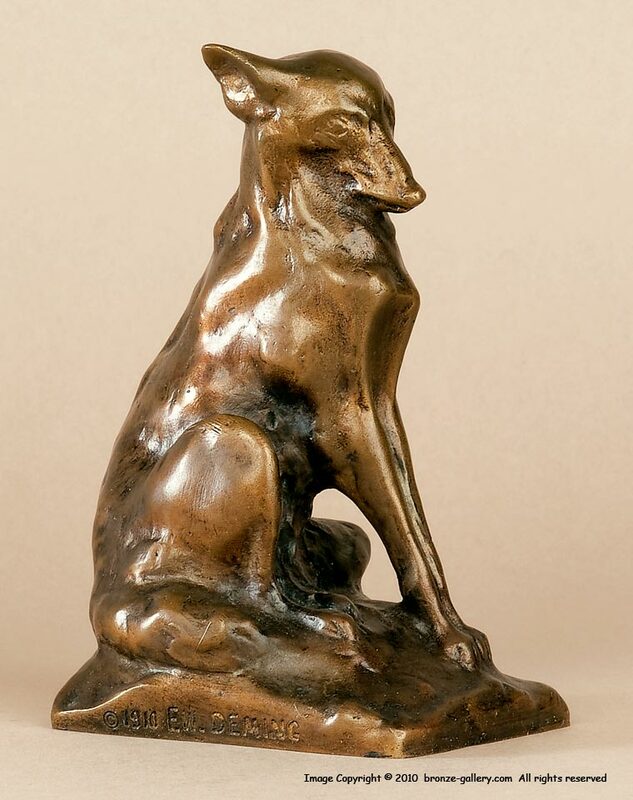 Edwin Deming's sculptures were exclusively of the wild animals of the American West. Bears were his favorite subjects and he earned the name Eight Bears from his Indian friends. Along with bears, he did several models of wolves. 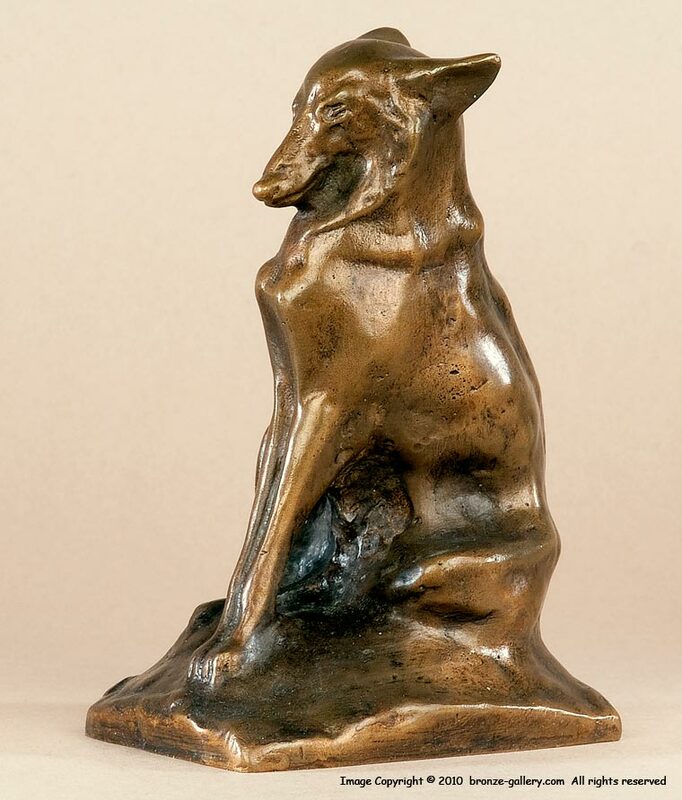 Deming's sculptures of wolves showed them at rest and at play. This model shows a Wolf sitting on his haunches. Deming captures the character of the Wolf as he sits quietly at rest. This bronze is signed and dated 1910, it has a light brown patina.